Lieutenant Taylor Morgan has never met an ikthian that wasn't trying to kill her, but when she accidentally takes one of the aliens hostage, she finds herself with an entirely new set of responsibilities. Her captive, Maia Kalanis, is no normal ikthian, and the encroaching Dominion is willing to do just about anything to get her back. Her superiors want to use Maia as a bargaining chip, but the more time Taylor spends alone with her, the more conflicted she becomes. Torn between Maia and her duty to her home-world, Taylor must decide where her loyalties lie. I read the opening pages and the story jumps right into a military battle on an alien planet. Then I did a little bit of research and it looks like the story switches focus to the couple and their sexual journey. 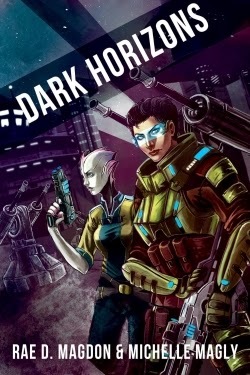 The setting is military SF and fans of the videogame MASS EFFECT may also find this book appealing. I'm looking forward to reading it because that cover! !